House cleaning is an important chore that can keep your home beautiful, livable and sanitary. By maintaining a regular schedule, you can ensure that your home is always presentable and avoid the last minute rush to tidy up when a friend is coming over. 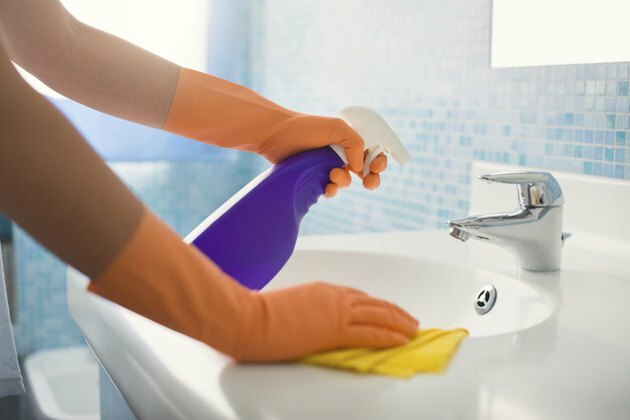 How often you need to clean your house will vary with each chore, but there are some simple guidelines that can help you create your own house cleaning schedule. The kitchen is one area of the home that cannot get by with anything less than a daily cleaning. After cooking, you should wipe down all of the kitchen surfaces and put away any supplies that you used. Do dishes immediately after the meal, and wipe down the sink once a day, preferably before bed. The floor should be swept and mopped once or twice a week, or more if needed. The fridge should be cleaned out regularly. The ideal time to do this is right before you go grocery shopping, so a fridge full of spoiled food and rotten leftovers doesn't fool you into thinking you don't need to buy more food. 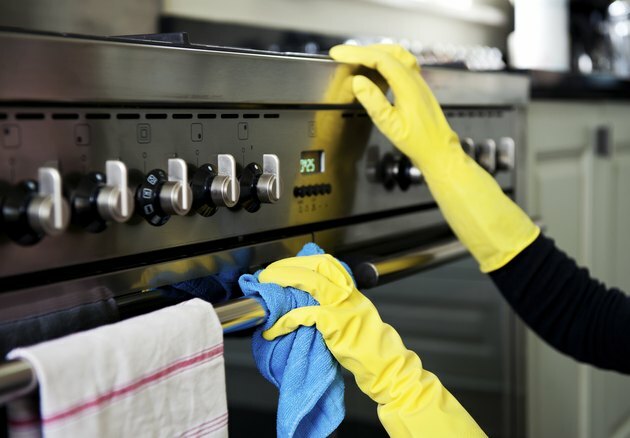 Give the appliances, fridge and sink a thorough scrubbing once a week. The bathroom can get dirty very quickly, so a regular daily cleaning is important. Wipe down the tub, shower stall, sink and counter with a multipurpose cleaner once a day. Wipe down the mirror with a touch of white vinegar. Straighten the toiletries and hang up towels after every use. Ideally, the toilet should be cleaned several times a week. At a minimum, do this once a week. Once a week, you should also thoroughly sweep and mop the floor and replace the towels. The bedroom will need less work than the other areas of the house. Tidy up any laundry, books, shoes and other clutter on a daily basis. 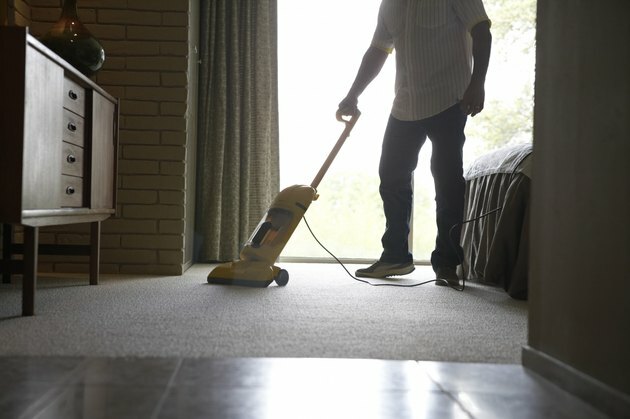 Once a week, change the linens, dust the furniture and vacuum the carpet. Once a month, you should vacuum and rotate the mattress. In children's rooms, you may need to wipe down surfaces and pick up toys more frequently. Encourage children to help you with these tasks until they can eventually complete them on their own and take responsibility for their own bedroom. The state of your living room will vary greatly depending on the number of people and pets residing in your home, and how much time they spend there. If you live alone or with your spouse and you both work during the day, then your living room may remain largely untouched throughout the week. If you are a stay-at-home mom with kids that are homeschooled and an ever-growing collection of pets, you will fall at the opposite end of the spectrum. In general, you should vacuum the carpets two or three times a week. Pick up books, toys, cups and other clutter at the end of the day, every day, and wipe off surfaces. Vacuum the upholstery once a month, and shampoo the upholstery and carpets once or twice a year. Some household cleaning can be left to a once-yearly "spring cleaning." Don't let the name fool you, though. You can just as easily take on an annual cleaning in the summer or fall, though winter is ill-suited to many of the tasks involved in this campaign. Once a year you should give the house a thorough scrubdown. Clean under and behind furniture, including the fridge and other appliances. Dust the ceiling and fans, wash the drapes and wash scuff marks and stains from the walls. Empty bookcases and toy shelves and wipe down the shelves and the items that go on them. If you are doing this cleaning in the fall, this is a good time to launder and put away summer draperies and linens and air out the fall set. 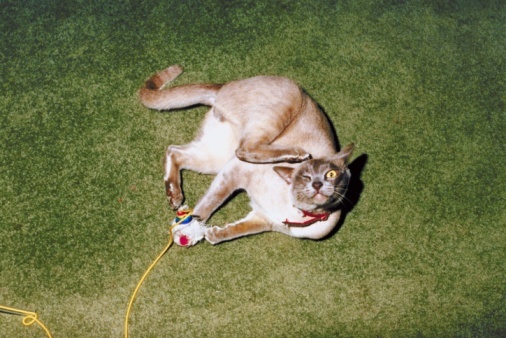 Likewise, in the spring this activity can be reversed.